Most commercial mail today doesn’t have a stamp or postage meter indicia, but bear a permit imprint. The U.S. Postal Service (USPS) rules for permit imprints are covered in the Domestic Mail Manual (DMM), Section 604.5 – “Permit Imprint (Indicia)”. In the era of the Intelligent Mail Barcode (IMb), the rules are out of date, and need an overhaul. The inadequacies of the permit imprint rules were highlighted a year ago at the November 1, 2016 Mailers’ Technical Advisory Committee (MTAC) meeting at the USPS Headquarters in Washington, DC. During the session, there were concerns raised about the branding transformation of “Standard Mail” to “Marketing Mail”. Specifically, many pieces mailed at the Standard rate aren’t marketing pieces, and new indicia could create confusion for the recipients. At the time, Jim Cochrane, the USPS Chief Customer and Marketing Officer, pointed out that as the service type is in the IMb, it shouldn’t be important to have the class of mail appear in the permit. This sounded like a major step forward. At the time. A year later, and not a lot of movement. There has been some testing with the new imprint of “USPS Marketing Mail”, but in July 2017, the USPS issued an advisory for mailers not to make the transition to the new verbiage. 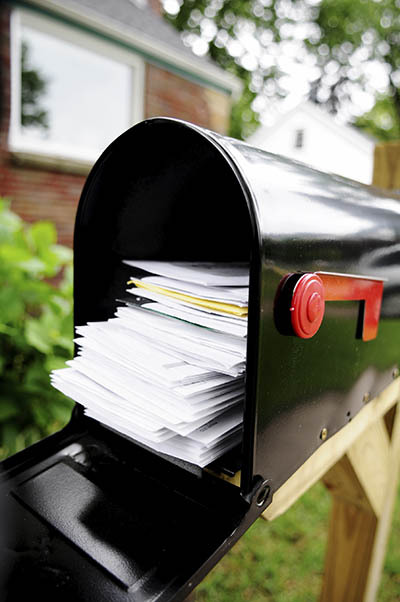 There have been no advisories – or public announcements – on testing to remove the class of mail from all permit imprints. The Business Mail Entry Unit determines the appropriate class of mail and associated postage by the contents and characteristics of the mailpiece. The IMb and the accompanying Mail.dat file identifies the mailer and the mail owner. The tray tags and pallet placards control routing. The markings in the permit indicia should be irrelevant to how the mailpiece is handled. The permit imprint should include the name of the mail owner or the mail service provider. Nothing more. This move could enhance the value of USPS Marketing Mail. If all permits didn’t have the class of mail, then recipients would spend more time looking at the envelope. Instead of seeing the words “Standard Mail” or “USPS Marketing Mail”, it would have the name of the mailer. The recipient would have to open the piece to determine whether it was transactional or marketing mail. The change to a simplified permit would also allow mailers to cut down on different types of stock, as one envelope could be used for all mailings. Not only does that decrease inventory expenses, it eliminates or reduces inserter changeovers. More savings for the senders helps keep physical mail a viable medium. For almost a decade, the USPS has touted the many benefits of Intelligent Mail. It’s time to add one more benefit – remove the class of mail from the permit imprint.